Vehicle with mother and three small children that had ran out of gas. I was able to push the vehicle off to the side of the road. We were then able to assist them in getting gas so they could continue on their way. Fire call at the location. Police assistance was not needed. Incident Address: 100 N WAYNE ST; PIQUA POLICE DEPARTMENT PIPD PIQUA OH 45356 Time Reported: 08:41:28 Time Occurred between: 08:41:28 04/15/19 - 08:41:28 04/15/19 Complainant wanted to report information on the recent car break-ins occurring in the City. Information was passed on to all officers. Time Occurred between: 08:57:56 04/15/19 - 08:57:56 04/15/19 Caller reported a suspicious truck, towing a vehicle. After speaking with the male, he said he sold the vehicle online and was waiting on the buyer to come pick it up. Nothing suspicious was found. Parking complaint at location. Vehicle moved to private property due to having an expired registration. 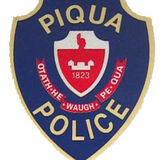 Incident Address: 100 N WAYNE ST; PIQUA POLICE DEPARTMENT PIPD PIQUA OH 45356 Time Reported: 09:19:09 Time Occurred between: 09:17:41 04/15/19 - 09:17:41 04/15/19 Adult Parole wanted to get video from an incident that involved a subject on parole. Complainant was referred to the records section. Report of a disturbance at the location. Husband and wife admitted to arguing but both denied any violence or threats. Forensic exam on device for West Milton Police in case 19WM00609. WOOD ST PIQUA OH 45356 Time Reported: 09:58:53 Time Occurred between: 09:54:26 04/15/19 - 09:54:26 04/15/19 Complainant wanted a welfare check done on her grand kids that did not show up to school today. Contact was made and kids were fine. Kids were pulled out of their old school system and enrolled into another due to family harassment. The childrens' mother and legal guardian believed the grandmother, complainant, was using the police as a way to harass her due to her changing her number and blocking the grandmother on social media. She requested complainant not be given her address or phone number. Spoke with complainant and advised her the kids are fine. Also advised the complainant that she should not use the police to harass her daughter and if she was seeking custody she should do so through civil court. Caller reported a vehicle blocking a driveway. The owner was contacted and he had the vehicle moved. NICKLIN AVE PIQUA OH 45356 Time Reported: 10:23:25 Time Occurred between: 10:22:37 04/15/19 - 10:22:37 04/15/19 Elderly female reported getting suspicious phone calls where a male advised he was her grandson. Female did not provide any personal information. She was spoken to about the numerous scams going on and advised not to speak with anyone or provide any personal information. LOONEY RD PIQUA OH 45356 Time Reported: 10:45:28 Time Occurred between: 10:42:59 04/15/19 - 10:42:59 04/15/19 Assist squad for a female with chest pains at an outpatient care center. Officer was not requested. CHERRY ST PIQUA OH 45356 Time Reported: 10:52:59 Time Occurred between: 10:51:44 04/15/19 - 10:51:44 04/15/19 Complainant reported a subject refusing to return her property. Subjects at residence refused to answer the door. Complainant was advised of her options. Traffic stop. Verbal warning issued for speed. N DOWNING ST PIQUA OH 45356 Time Reported: 11:39:14 Time Occurred between: 11:36:21 04/15/19 - 11:36:21 04/15/19 Caller works for a local newspaper and requested for an elderly customer to be checked on. Officer spoke to the female, who said she was fine and did not need anything. PIQUA OH 45356 Time Reported: 11:52:57 Time Occurred between: 11:51:59 04/15/19 - 11:51:59 04/15/19 Telecommunications harassment complaint. Both parties warned for telecommunications harassment. Caller reported a camper partially blocking an alleyway. Officer spoke to the owner, who said her husband would move it as soon as he got off work in a few hours. Officer checked back and the camper had been moved. Incident Address: 1 INDIAN TRAILS; PIQUA HIGH SCHOOL PI PIHS PIQUA OH 45356 Time Reported: 12:43:06 Time Occurred between: 12:43:06 04/15/19 - 12:43:06 04/15/19 I assisted PHS with a threat assessment. Caller reported a log in the roadway. The log was moved and the street department was notified to come pick it up. Squad call at location. Police assistance not needed. Incident Address: 1 INDIAN TRAILS; PIQUA HIGH SCHOOL PI PIHS PIQUA OH 45356 Time Reported: 13:59:59 Time Occurred between: 13:59:59 04/15/19 - 13:59:59 04/15/19 I assisted PHS with a threat assessment. MIAMI ST PIQUA OH 45356 Time Reported: 14:18:32 Time Occurred between: 14:18:05 04/15/19 - 14:18:12 04/15/19 Female dialed 911 because she was concerned her boyfriend and daughter were going to get into an argument when her daughter got home from school. Female was advised to call us if there was a problem not if she anticipated a problem. Driver stopped for a lane violation and given a warning. Officers were dispatched to a residential alarm. While enroute, the alarm company called back and said Officers no longer needed to respond. S DOWNING ST PIQUA OH 45356 Time Reported: 14:37:04 Time Occurred between: 14:36:18 04/15/19 - 14:36:22 04/15/19 Civil dispute. Complainant advised he did not want his ex wife to contact him via telephone unless it was about his child. Complainant was advised his ex could be warned but it went both ways and neither one could contact each other and would have to do so through attorney's. Complainant decided he did not want her warned and would contact the courts for an alternate solution. Incident Address: 807 NICKLIN AVE; PIQUA CENTRAL INTERMEDIATE SCHOOL PI PCIS PIQUA OH 45356 Time Reported: 14:44:53 Time Occurred between: 14:44:53 04/15/19 - 14:44:53 04/15/19 I was contacted by a principal who spoke with a mother who requested an officer speak with her son about the consequences for his behavior if he continues to get in trouble at school. The principal and I spoke with him in the office. BLAINE AVE PIQUA OH 45356 Time Reported: 14:53:34 Time Occurred between: 00:00:00 02/01/19 - 14:53:02 04/15/19 Burglary report. Complainant advised a rental property of his was broken into sometime in the last several months. No forced entry was found and no items were reported missing. Several personal items were recovered from the house that did not belong to any of the previous renters. Male overdosed on an opiate. Male denied taking anything but was given Narcan by resident prior to regaining consciousness. Male refused treatment. Sidney Police requested for a Piqua Officer to locate a male they needed to speak to. The male was not home and a business card was left for the male to call Sidney Police. Refused complainant reported a parking violation. There was no violation. Officer was dispatched to assist the squad. therefore, an officer did not respond. Report of a vehicle parked at the listed location since January. to be expired. It was stickered and marked. Traffic Stop. Driver warned for an expired registration (1/14/19). Three vehicle accident. Driver cited, OH-1 completed. FALMOUTH AVE PIQUA OH 45356 Time Reported: 16:13:27 Time Occurred between: 16:12:17 04/15/19 - 16:12:17 04/15/19 Complainant wanted to report that he found his property he recently reported stolen in call 19PI05757. Report was updated. Incident Address: 1 INDIAN TRAILS; PIQUA HIGH SCHOOL PI PIHS PIQUA OH 45356 Time Reported: 16:19:00 Time Occurred between: 16:17:16 04/15/19 - 16:17:16 04/15/19 Report of a telephone harassment complaint due to the complainant's son having issues with another male in a group message on Snapchat. It was determined that both juveniles were contributing to the problem and were advised to stay away from each other and not contact one another. Officers were dispatched to assist the State Troopers with a disturbance that occurred on the interstate. Officers located the vehicle and the two people involved. Troopers arrived on scene and said they would investigate the disturbance. CALDWELL ST PIQUA OH 45356 Time Reported: 16:46:20 Time Occurred between: 16:44:48 04/15/19 - 16:44:50 04/15/19 Complainant called in about juveniles riding mopeds down the street in a reckless manner. checked the area but the juveniles were gone on my arrival. Squad call. Officer not requested. FOREST AVE PIQUA OH 45356 Time Reported: 17:20:31 Time Occurred between: 17:19:47 04/15/19 - 17:20:03 04/15/19 Officer dispatched on the report of a juvenile injured when he fell off a moped. Juvenile was transported by squad to UVMC with a shoulder injury. Officer responded on the report of a female who was feeling stressed out. She was found to have an active warrant. 80 y/o female having pain in her side. No officer assistance needed. Alarm. Alarm activated from a door on the west side of the building. Officers found an open door and checked the building finding no one inside. It appears to have been an oversight. No key holders responded. PIQUA OH 45356 Time Reported: 19:02:00 Time Occurred between: 19:01:00 04/15/19 - 19:01:00 04/15/19 Complainant advised a syringe was found in the alley. Officer disposed of it in a sharps container. Officer dispatched on the report of a male subject with difficulty breathing. Medics did not request officer assistance. Traffic stop. Driver warned for speed. Disturbance where multiple subjects were warned for disorderly conduct. Report of mopeds racing down the street. Officer checked the area and was unable to locate anyone in the area. Incident Address: BOAL AVE & HANCOCK ST PIQUA OH 45356 Time Reported: 20:19:18 Time Occurred between: 20:17:24 04/15/19 - 20:17:24 04/15/19 Subject advised a motorcycle has been speeding up and down the street and he is concerned due to the number of children that play in the area. I advised the subject I would notify officers of the complaint and document the information given. GORDON ST PIQUA OH 45356 Time Reported: 20:31:53 Time Occurred between: 20:29:17 04/15/19 - 20:29:17 04/15/19 Officers responded to the report of an open door. No keyholder was located and door was secured. Report of a subject throwing up. No police assistance needed. Complainant expressed concerns over a subject with a CPO against him moving to Piqua. Officer answered the complainant's questions. N WAYNE ST PIQUA OH 45356 Time Reported: 21:12:10 Time Occurred between: 21:10:53 04/15/19 - 21:10:53 04/15/19 Alarm. Cleaning employee accidentally set alarm off. Assist squad. 22 y/o male in a seizure. Male refused treatment. Complainant reported family members were continuing to harass her. The incidents occurred outside of this officers jurisdiction and the complainant was advised to contact law enforcement where the incidents occurred. Traffic stop. Adult male given warning for Speed. Subjects keep harassing each other over the phone. All parties advised to stop calling/texting each other or they will be charged with phone harassment. Victim claimed he left his clothes at a friend's residence and when he returned, the clothes were gone. Traffic stop. Adult male given a warning for not having tail lights on. Driver admitted to having marijuana in his pant pocket. Small amount of marijuana located. Marijuana was placed into property to be destroyed. Traffic stop. Driver warned for parking in the middle of the street. Complainant: Incident Address: 1275 S MAIN ST; GOODRICH GUILES PARK PI PIQUA OH 45356 Time Reported: 00:39:44 Time Occurred between: 00:39:34 04/16/19 - 00:39:34 04/16/19 Vehicle parked unoccupied in the parking lot. Officer ran vehicle and found it was not listed as stolen. W ASH ST PIQUA OH 45356 Time Reported: 00:45:56 Time Occurred between: 00:44:42 04/16/19 - 00:44:42 04/16/19 Report of subjects being loud inside. Officer didn't hear any violations but advised subjects of the complaint. S MAIN ST PIQUA OH 45356 Time Reported: 01:39:30 Time Occurred between: 01:38:06 04/16/19 - 01:38:07 04/16/19 Officer dispatched to a reported disorderly call. Subject knocked on the wrong door. Assist squad. Officer notified of medic call where no police assistance was needed. BOONE ST PIQUA OH 45356 Time Reported: 05:54:07 Time Occurred between: 05:52:28 04/16/19 - 05:52:28 04/16/19 Caller said his vehicle was broke down, partially in the roadway. The vehicle was not a traffic hazard and the caller was told he would have to call a tow truck. S DOWNING ST PIQUA OH 45356 Time Reported: 06:32:09 Time Occurred between: 06:30:59 04/16/19 - 06:30:59 04/16/19 Report of a male juvenile refusing to go to school. I spoke with the juvenile who advised he didn't want to go to school because of the stairs since he's afraid of heights. The male juvenile is severely developmentally disabled and the courts would not accept a charge on him. Female was referred to contact the high school to see if they could recommend any alternatives. Officers were dispatched to a commercial alarm. While enroute, the alarm company said Officers no longer needed to respond. PIQUA OH 45356 Time Reported: 08:11:56 Time Occurred between: 08:11:56 04/16/19 - 08:11:56 04/16/19 Report of an assault at the junior high school. disciplined by the school. Incident Address: 145 E U S RT 36; SPRINGCREEK PRIMARY SCHOOL PI SPRING CREEK TP OH Time Reported: 08:17:29 Time Occurred between: 08:17:29 04/16/19 - 08:17:29 04/16/19 I assisted Springcreek Primary with a threat assessment. VAN WAY PIQUA OH 45356 Time Reported: 09:06:17 Time Occurred between: 09:04:43 04/16/19 - 09:04:43 04/16/19 Complainant had questions about picking up property. Questions answered. 19PI05857 TRAFFIC STOP Complainant: Incident Address: E MAIN ST & WOOD ST PIQUA OH 45356 Time Reported: 09:24:43 Time Occurred between: 09:24:43 04/16/19 - 09:24:43 04/16/19 Traffic stop. Warning given for no registration and no lights on a trailer. Male had a medical emergency and his pacemaker went off multiple times. Male's vehicle was moved to the back of the parking lot. Keyholder was attempted but could not be reached. Male transported by squad to UVMC. Officer was not requested and did not respond. Incident Address: 121 BRIDGE ST; WASTE WATER TREATMENT PLANT PI PIQUA OH 45356 Time Reported: 10:25:06 Time Occurred between: 08:00:00 01/01/19 - 10:24:22 04/16/19 City Waste Water Department reported a heater stolen from their premises belonging to a contract company. Officer was dispatched to assist the squad. therefore, an officer did not respond. Officer was dispatched to assist the Medics. Officer was not needed or requested and did not respond. PARK AVE PIQUA OH 45356 Time Reported: 11:50:25 Time Occurred between: 11:49:33 04/16/19 - 11:49:43 04/16/19 Caller, who has mental health issues, called dispatch and made a suspicious report. Officer spoke to the caller and his caretaker, who said there were no issues and the caretaker said this was a common issue with the caller. Brown and white pitbull in the middle of the roadway with no tags or identification. Another dog like this one was located two blocks away. Animal Shelter responded and took the dogs. Traffic stop. Driver issued citation for speed. Complainant requested a welfare check done on her sister who was not answering her phone. Contact was made and female who stated she was sleeping. Female was told to call her sister and let her know she is ok.
W HIGH ST; PIQUA PUBLIC LIBRARY PIQUA OH 45356 Time Reported: 14:06:28 Time Occurred between: 14:05:57 04/16/19 - 14:06:08 04/16/19 Third party report of 2 males and 2 female arguing outside. Dispatch advised subjects were leaving prior to officer's arrival and only description provided was a female in a green dress. Area was checked and subjects were not located. Incident Address: 800 N SUNSET DR; WASHINGTON PRIMARY SCHOOL PI PIQUA OH 45356 Time Reported: 14:15:27 Time Occurred between: 14:13:21 04/16/19 - 14:13:21 04/16/19 Report of a female at the school trying to remove her children from the school. School staff would not release the children to her due to the kids being removed from her custody by CSB. Female was trespassed from the school. N COLLEGE ST PIQUA OH 45356 Time Reported: 14:50:49 Time Occurred between: 14:48:40 04/16/19 - 14:48:40 04/16/19 Caller had questions about getting custody of his infant daughter, who lives in Shelby County. His questions were answered and he was directed to the courts. Report of a reckless vehicle in the area. Vehicle not located. 19PI05872 ASSIST OTHER AGENCY AGENCY ASSIST Complainant: Incident Address: 100 N WAYNE ST; PIQUA POLICE DEPARTMENT PIPD PIQUA OH 45356 Time Reported: 15:45:18 Time Occurred between: 15:45:18 04/16/19 - 15:45:18 04/16/19 I was going to assist Juvenile Probation with community service but it was cancelled due to calls for service so we did not assist. Report of a female at the residence that was evicted several weeks ago. Female subject was trespassed. Incident Address: PIQUA OH 45356 Time Reported: 15:45:56 Time Occurred between: 15:44:57 04/16/19 - 15:44:57 04/16/19 A school principal called and said a parent failed to pick up their child and they could not reach her by phone. Officer went to the residence and the mother said she fell asleep. The mother went to get the child from school. Officer answered questions regarding a civil dispute between the complainant and a tow company. The complainant had already spoken with an officer regarding the dispute (19PI05296). Officer again advised the complainant it was a civil issue. PINEWOOD AVE PIQUA OH 45356 Time Reported: 16:18:43 Time Occurred between: 16:17:35 04/16/19 - 16:17:41 04/16/19 Complainant wanted to report a suspicious phone call he received. S WAYNE ST PIQUA OH 45356 Time Reported: 16:22:20 Time Occurred between: 16:20:33 04/16/19 - 16:20:33 04/16/19 Female advises that a child was attacked by a pit bull. Complainant heard the screaming and came outside. Complainant did not see the dog or the child, but was told by someone it happened. No other complaints of the incident. No dog or victim were located. Officer was dispatched on the repot of a mulch fire. The Fire Department arrived and extinguished the smoldering mulch. GARBRY RD PIQUA OH 45356 Time Reported: 16:37:53 Time Occurred between: 16:36:28 04/16/19 - 16:36:28 04/16/19 Complainant stated several male subjects were passing around a joint in the parking lot. Upon officer arrival, no subjects were in the parking lot. Officer spoke with the complainant and she advised of an apartment one of the subjects lived in. Officer spoke with subject who claimed to be smoking a black and mild. No odor of marijuana was detected. Officer dispatched on the report of a fire alarm at the mall. The fire department did not request officer assistance. Assist squad for a subject with knee pain. Officer was not requested. WILSHIRE DR PIQUA OH 45356 Time Reported: 17:11:10 Time Occurred between: 17:09:33 04/16/19 - 17:09:33 04/16/19 Solicitors complaint. Officer dispatched on the report of a subject with neck and shoulder pain. Medics did not request police assistance. Officer dispatched on the report of a subject with high blood sugar. Medics did not request police assistance. Officer dispatched on the report of an alarm at the bank. Officer arrived on scene and dispatch advised the officer could disregard. Officer dispatched to locate a vehicle at a residence involved in a disturbance in Troy. Officer responded and did not locate the vehicle. The residence appeared to be vacant. This information was passed along to Troy PD. NEW HAVEN RD PIQUA OH 45356 Time Reported: 17:57:00 Time Occurred between: 17:55:49 04/16/19 - 17:55:54 04/16/19 Officer dispatched on the report of loud music being played at a residence. Officer did not observe a violation while he was in the area. The complainant advised it is an ongoing issue. Report of a motorbike complaint. The area was checked and no violation was observed. COVINGTON AVE PIQUA OH 45356 Time Reported: 18:04:48 Time Occurred between: 18:03:48 04/16/19 - 18:03:58 04/16/19 Officer's dispatched to a possible missing juvenile. Officer's were able to locate the juvenile. PARK AVE PIQUA OH 45356 Time Reported: 18:38:58 Time Occurred between: 18:33:15 04/16/19 - 18:33:15 04/16/19 Subject advised he believed somebody was trespassing onto his property, however he was not sure who it was or when. The subject requested officers not respond to the residence in case he is being watched. The subject advised he only wanted the information reported. Incident Address: 635 GORDON ST; MOTE PARK COMMUNITY CENTER PIQUA OH 45356 Time Reported: 19:04:53 Time Occurred between: 19:04:19 04/16/19 - 19:04:19 04/16/19 Officers dispatched to a report of juveniles fighting in the park. Officers located juveniles and was determined that both were at fault and both were warned for disorderly conduct. Time Reported: 19:13:16 Time Occurred between: 19:12:54 04/16/19 - 19:12:54 04/16/19 Officer dispatched on the report of a female who called lifeline with an unknown problem. Upon arrival, female was found to be having a difficult time breathing. She was transported to UVMC by squad. Assist squad. 67 y/o male having leg pain. No officer assistance needed. Husband called to report his wife was making suicidal comments. Female was last in the area of Edison State Community College. After checking several areas in Piqua it was determined the female was in Troy. Report of a subject with a protection order at the residence. The subject was located, taken into custody and incarcerated. Officers were dispatched to a report of sexual battery. Officers determined the offense took place in different state. CSB was notified. Vehicle parked on the wrong side of the road and officer was unable to make contact with the registered owner. The vehicle was stickered and when officer returned later in the night, the vehicle was moved. Subject had questions reference getting property out of a house that he had been evicted from. He was advised to seek the counsel of an attorney as he thought he could still go in after being evicted. He was advised not to enter the property. Assist squad. 88 y/o not injured and just needing lift assistance. No need for officer assistance. This card was created in error by the Miami County Communication Center. See case number 19PI05896 for further. ADAMS ST PIQUA OH 45356 Time Reported: 20:29:36 Time Occurred between: 20:27:53 04/16/19 - 20:27:53 04/16/19 Officer responded to the report of subjects being disorderly. Involved subjects were warned for disorderly conduct. Vehicle broken down in the middle of the roadway. Vehicle was towed by Lumpkin's to owner of vehicles residence. Tow slip completed. Squad call with no police assistance needed. Officer notified of a medic call. Officer dispatched on the report of a male with swollen legs. Medics did not request officer assistance. Assist squad. 65 y/o female having difficulty breathing. No officer assistance needed. Traffic stop. Driver warned for equipment violation. A subject with known mental health issues reported she had been arguing with a subject from another state and wanted officers to document this. No further police action was requested. Traffic stop. Driver was warned for equipment violation. Time Occurred between: 22:09:41 04/16/19 - 22:09:45 04/16/19 Highly intoxicated male was upset and got into his vehicle. The male drove his vehicle into the back of another one of his vehicles. The male admitted to damaging the car on purpose. Male was arrested for OVI and taken to the PD for processing. Male was later released to his wife. Victim stated her wedding ring was stolen from her kitchen counter. SHARON DR PIQUA OH 45356 Time Reported: 22:49:48 Time Occurred between: 22:48:49 04/16/19 - 22:48:49 04/16/19 Complainant advised an older black male in a grey or brown SUV or Jeep arrived at his residence and pulled on his rear sliding glass door. The complainant advised the subject then got in his vehicle and left the area. The complainant could not provide any other information on the subject and stated nothing like this has ever happened before and requested the information be documented. N COLLEGE ST PIQUA OH 45356 Time Reported: 23:45:15 Time Occurred between: 23:43:07 04/16/19 - 23:43:07 04/16/19 Officer's dispatched to the report of two suspicious subjects walking around the apartment building. Subject were located and it was determined they were guests of another resident of the apartment building. PIQUA OH 45356 Time Reported: 00:24:48 Time Occurred between: 00:24:35 04/17/19 - 00:24:35 04/17/19 Officer's located a railroad crossing gate that was stuck in the down position. After getting out to asses the situation the gates reset itself and opened again. PIQUA OH 45356 Time Reported: 01:12:29 Time Occurred between: 01:09:31 04/17/19 - 01:09:31 04/17/19 Report of subjects being loud and playing basketball. Officer made contact with a subject and advised him of the complaint. Male stated he was just trying to get some exercise but would leave the area. Traffic stop on a vehicle driving in the area of a closed business. The subjects advised they were playing an online game and were released with a warning. E MAIN ST PIQUA OH 45356 Time Reported: 02:07:31 Time Occurred between: 02:06:00 04/17/19 - 02:06:00 04/17/19 Refused caller stated there was an intoxicated male laying down on the bike path. Officers made contact with the male that was sitting on a piece of concrete. Male stated he was just trying to get away from his girlfriend because she was trying to start an argument with him. Male was not intoxicated. PIQUA OH 45356 Time Reported: 02:18:07 Time Occurred between: 02:18:07 04/17/19 - 02:18:07 04/17/19 Subject observed walking along the side of the roadway. The subject was transported home without incident. Domestic dispute over a cell phone. No violence alleged, both parties remained. Traffic stop. Adult female given a warning for having no lights on. Traffic stop for an improper left hand turn. The driver was released with a warning. Assist squad. 26 y/o female having shortness of breath. No officer assistance needed. W WATER ST PIQUA OH 45356 Time Reported: 03:25:31 Time Occurred between: 03:25:31 04/17/19 - 03:25:31 04/17/19 Officer was flagged down reference to subject thinking someone is staying in the garage of a vacant property. Officers checked the garage and residence and found nothing that appeared to indicate someone is staying there. E WATER ST PIQUA OH 45356 Time Reported: 03:27:52 Time Occurred between: 03:26:42 04/17/19 - 03:26:43 04/17/19 Report of a male subject that took several pills in attempt to harm himself. Once on scene that male subject agreed to go to the hospital with the squad.